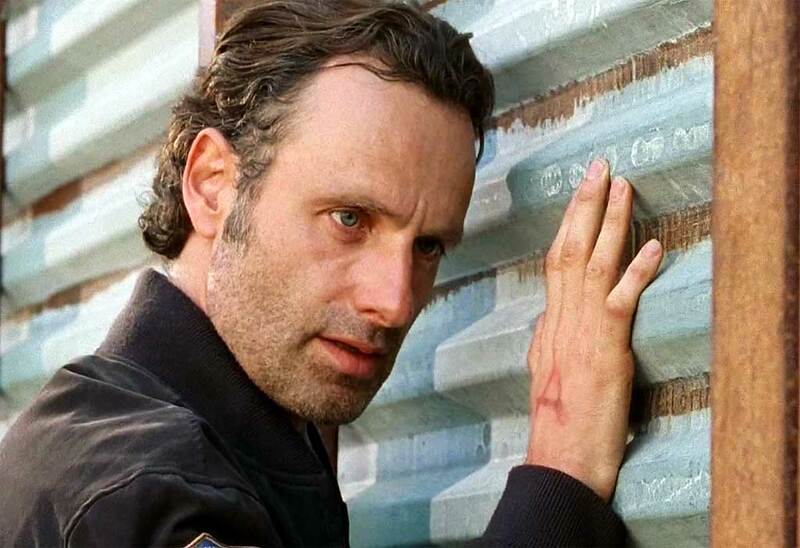 Should the residents of Alexandria be protecting themselves from the outside or should they be afraid of Rick Grimes going full shane on them? These are some of the topics of discussion on our podcast. Click the player above to hear the latest episode. You can also find us on iTunes. Or the podcast player of your choice. You can leave a voicemail by calling 1-844-TWD-Girl and let us know what you think of the direction that the show is going with our group in Alexandria. What do you think is coming next? Rick (Andrew Lincoln) monitoring the Alexandria wall for walkers.